Wish Kathy Ozer a Happy Birthday with Support for NFFC! Today – August 4, 2015 – NFFC’s director, Kathy Ozer, celebrates her 57th birthday, and tomorrow she begins her chemotherapy treatment plan for non-Hodgkin lymphoma (NHL) at Georgetown University hospital, one of the DC area’s oldest academic teaching hospitals. For the next six months she will receive an infusion of Rituxin and Bendamustine for two consecutive days every 28 days. While the side effects are considered milder than many cancer treatments they’re still strong, so we are hoping to boost her strong body and good attitude. 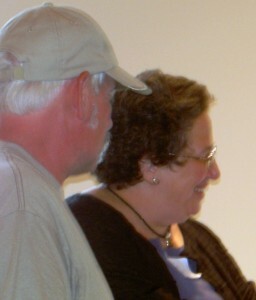 A Challenge to Overcome: While this medical challenge is the greatest personal threat she has faced, one of the largest stresses in her life is raising money to support the organization to which she has dedicated much of her life since the late 1980s – the National Family Farm Coalition (NFFC). As she celebrates turning 57 today and prepares to start her chemotherapy treatment , we are kicking off a campaign to raise $57,000 in additional funds for NFFC this year. These funds will help address a shortfall in NFFC’s budget and provide for additional staff and leader support to keep NFFC moving forward during this time of her reduced activity. Your donation can be posted online at https://donatenow.networkforgood.org/1910 or sent via old-fashioned check to NFFC at 110 Maryland Ave. NE Suite 307, Washington, DC 20002. If you work for the federal government you may also make a donation through the Combined Federal Campaign (account 16371). This entry was posted in Blog, Press and tagged fundraising. Bookmark the permalink.